Nubia is a well-known brand in China, and from the past few weeks, the company was teasing the launch of its new gaming smartphone that is now official. 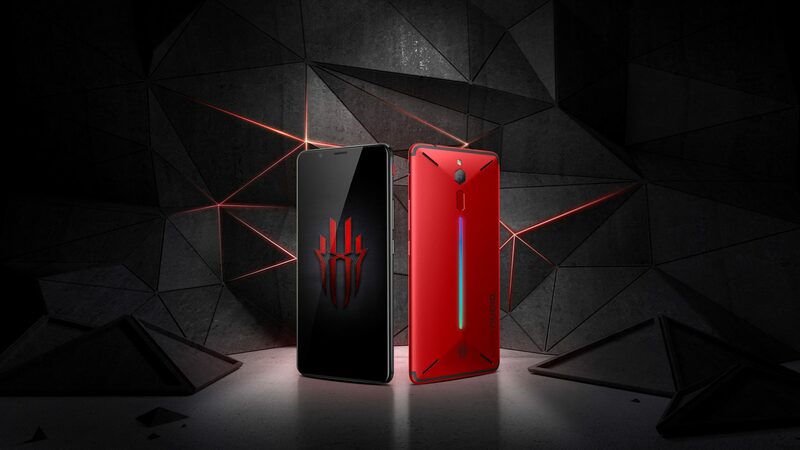 The Nubia Red Magic gaming smartphone was officially launched in China and looks like Razer started a new trend among smartphone manufacturers by launching a smartphone dedicated to gaming (Razer Phone) last year. 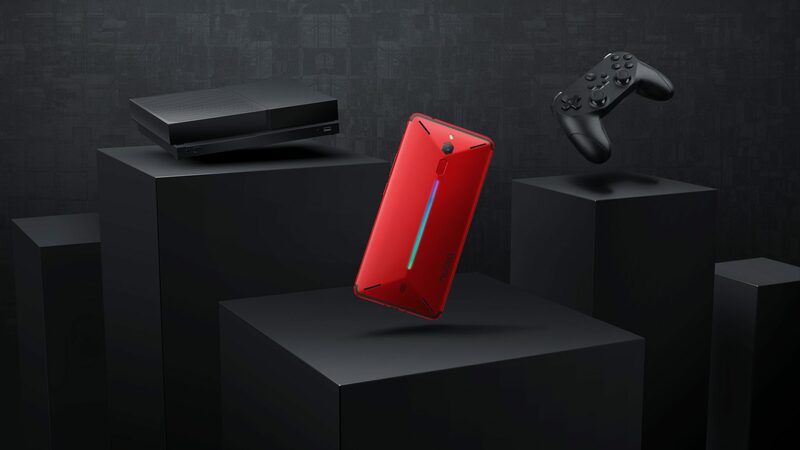 This year, we saw Xiaomi launching its Black Shark gaming smartphone, and it’s Nubia next in the list to launch its gaming smartphone. If we talk about the design, it looks like the Nubia Red Magic smartphone is way better regarding the design than the Black Shark and the Razer Phone. It looks like a true gaming-centric device with those configurable LED strips on the rear. A battleship inspires the design of the phone. On the rear, there is a single camera lens with a hexagonal design and same design is there for the rear-facing fingerprint scanner. There is a triple graphite layer and three grille vents to make sure that the device’s temperature remains constant even at intense gaming. The anodised unibody structure is also coated with unique heat-absorbent materials for full throttle performance. Talking about the specifications, the Nubia Red Magic smartphone features a 5.99-inch Full-HD+ display with a resolution of 2160x1080p and a 2.5D NEG T2X-1 Glass on top. The phone is powered by last year’s Snapdragon 835 processor with Adreno 540 GPU. There are two variants – 6GB + 64GB and 8GB + 128GB. Just like the Black Shark gaming smartphone, the Nubia Red Magic has a dedicated button on the side to boost the performance while gaming. On the rear, there is a single 24MP camera with a f/1.7 aperture, 0.9μm pixel size and Samsung 5K2X7SX sensor. The rear camera can shoot 4K videos at 30fps. The front camera includes an 8MP SK hynix HI-846 sensor with f/2.0 aperture and up to 1080p video recording at 30fps. There is a huge 3,800mAh battery under the hood with fast charging support via USB Type-C port. It is quite weird that despite being a gaming smartphone, there is only a single speaker on the Red Magic smartphone. Finally, Android 8.1 Oreo runs out of the box with a custom skin on top. 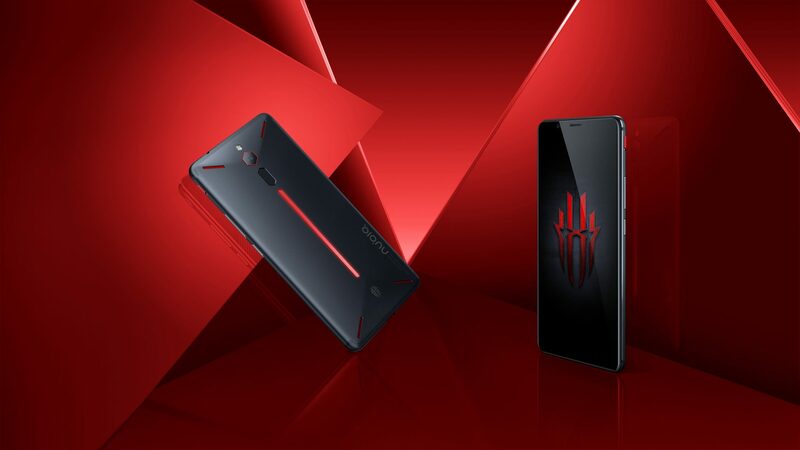 Finally, talking about the pricing, the Nubia Red Magic gaming smartphone is going to be available in China from April 25 at a price of CNY 2,499 or $399 for the 6GB RAM variant and CNY 2,999 or $479 for 8GB RAM variant. The phone is going to be available on IndieGoGo from April 26.